Showdown at Madison Square Garen! The Knicks receive the Detroit Pistons, who can only secure the ticket for the playoffs with a victory in the final 82nd season game. A starting position, which of course promises a maximum of tension. For the hosts, the season has been running for quite some time and there was only one goal last night, namely at least to prevent the season ends with the weakest record in the club’s history. This minimum goal could be checked by the success at the Chicago Bulls. The Pistons won at home against highly decimated Memphis Grizzlies and tore their fans to extreme torture, as they were still up to the fourth quarter with 15 points behind. Of course, the New York Knicks vs. Detroit Piston odds are in favor of the guests, but given the low altitude, there is no value to discover. Instead, our New York Knicks goes up against Detroit Piston’s ‘home win’ tip, with a +13.5 lead for home side. The Knicks will end the current season as the worst team. Together with the Cleveland Cavaliers and the Phoenix Suns they have the best chances on the First Pick at the upcoming Draft Lottery, in which the three weakest clubs get the most shares. 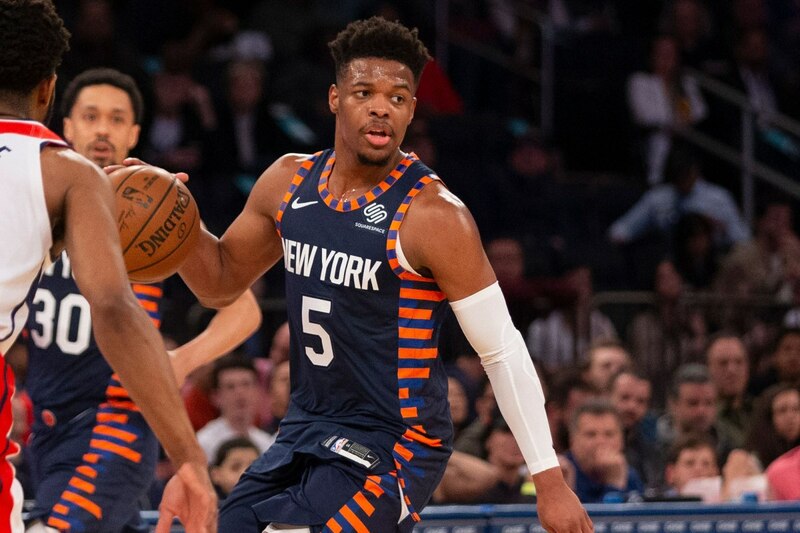 In addition to a good pick, the Knicks must take some money in the coming summer for new players in the hand, because the squad otherwise would not be enough for a noticeably better placement than in this or even in several previous seasons. Thanks to the spectacular trade of the Latvian Kristaps Porzingis to the Dallas Mavericks a few weeks ago, they now at least now have much more capacity in the salary cap. The current season was definitely a playful total failure: At no time could the team over a longer period appealing performances, the injury-related absence of the mentioned Porzingis, who had already suffered a cruciate ligament tear in the left knee in the previous season, of course Started on a very heavy mortgage represented. Last time, however, the modest conditions of the two-time champions were somewhat better, as three of the last five games were victoriously won. The successes of the team of coach David Fizdale, however, were only against the Chicago Bulls (twice) and Washington Wizards scored and thus against teams who had also mentally completed the season also long ago. The situation was pretty rosy for the Detroit Pistons a week ago. After the 99:90 against the Portland Trail Blazers the way for the playoffs seemed to be free. A success that even succeeded without the best player Blake Griffin, who had to pass injured just minutes before the tip-off. Subsequently, however, followed four bankruptcies for the basketball hunters from the motor city, especially the loss to the Charlotte Hornets hurt, as they represent an immediate rival for the last available space for the postseason in the East. Last night, the Pistons again received the Memphis Grizzlies and were able to stop the series by defeating 100: 93. A success, which was very difficult – because the guests were in the meantime with more than 20 points ahead in the lead, although they had started only with a better G-League edition of their squad due to numerous casualties. 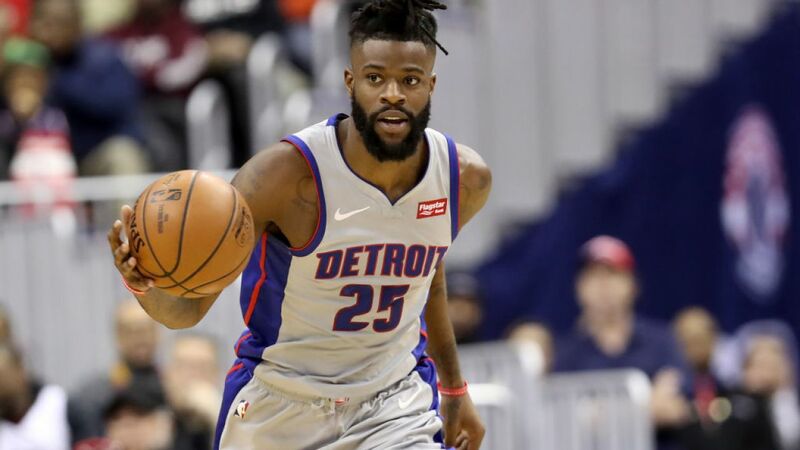 The Pistons are still in eighth place before the last matchday of the regular season, and with a win in New York, their only remaining pursuer, Charlotte Hornets, could no longer dispute them. For the match against the Knicks especially the use of the mentioned Power Forward Blake Griffin is important. The best scorer of the team was lacking as described in the victory against Portland, but the subsequent series of four bankruptcies undoubtedly hung together with his knee injury. So he missed, for example, the two lost duels against Indiana and in the defeat against Charlotte he seemed a bit battered and only came to 16 points. A yield that made it clear that the 2009 First Pick should still have paused – although he had actually recovered in the previous match against Oklahoma City Thunder and delivered a proud 45 points, which in the end but still not for a win the pistons ranged. In the last night, he definitely did not look fit again and scored just five points despite being on the court for more than 18 minutes. FInd more stats and prediction on Basketball prognosen. The New Yorkers have in recent years their Knickerbockers often take off from the Pistons. For six games in the NBA, they are waiting for the next success against Detroit. From a statistical point of view, it is also underpinned by why New York Knicks vs. Detroit Pistons show odds towards the guests’ success. The hosts will certainly mobilize all their reserves of power again in the last game of the season in order not to collect, as so often in this season, a bankruptcy in front of their own backdrop. However, even the motivation may be only moderate, since the players realize that a really reconciliatory conclusion is no longer possible. For the Knicks have been too disappointed: Read out that no team in the NBA was worse than her. Although the Manhattan club’s aspirations to the season have been set as low as the neighboring Hudson River from the start, it has been largely around the development of rookies like Kevin Knox (First Round: 9.Pick) or Mitchell Robinson (Second Round: 36. Pick), which can be regarded as partially successful – if the Knicks do not win in the upcoming match, they have set the weakest record in the history of the franchise. However, a handful of players can not cooperate in the endeavor to prevent this, for example Point Guard Emmanuel Mudiay or Shooting Guard Allonzo Trier in the Backcourt. A lack of attitude is again not expected among the guests. Rather, the pistons are the most important game of the year. With a win, they would reach the playoffs for the first time after two years. If they lose and the Hornets win, they would have to give the troupe from Charlotte despite the same number of victories beaten, as they are in the tie-breaker of the direct comparison in the lead. However, the Pistons have fallen out of shape at the end of the season, as four bankruptcies from the recent five games show. In addition, the success against Memphis Grizzlies last night was very happy and Blake Griffin is still not fit due to his knee injury. In the match between the New York Knicks and Detroit Pistons, the betting odds for a tip still make the guests favorites, but more value in our eyes is the handicap betting for the home side, as the Pistons, given their weakening condition, probably only one triumphant triumph. For New York Knicks vs Detroit Pistons, the tip is therefore on the hosts, including a handicap of +13.5 for them.